March 7, 2019 Gauthier, G., Cadieux, M.-C. 2019. Monitoring of Greater Snow Goose reproduction on Bylot Island, Nunavut, Canada, v. 1.0 (1989-2018). Nordicana D41, doi: 10.5885/45570CE-2D00DCA728074FA7. December 5, 2018 CEN 2018. Climate station data from the Umiujaq region in Nunavik, Quebec, Canada, v. 1.6 (1997-2018). Nordicana D9, doi: 10.5885/45120SL-067305A53E914AF0. November 1, 2018 Gruber, S., Brown, N., Stewart-Jones, E., Karunaratne, K., Riddick, J., Peart, C., Subedi, R., Kokelj, S. 2018. Air and ground temperature, air humidity and site characterization data from the Canadian Shield tundra near Lac de Gras, Northwest Territories, Canada, v. 1.0 (2015-2017). Nordicana D39, doi: 10.5885/45561XD-2C7AB3DCF3D24AD8. November 1, 2018 Gruber, S., Brown, N., Stewart-Jones, E., Karunaratne, K., Riddick, J., Peart, C., Subedi, R., Kokelj, S. 2018. Drill logs, visible ice content and core photos from 2015 surficial drilling in the Canadian Shield tundra near Lac de Gras, Northwest Territories, Canada, v. 1.0 (2015-2015). Nordicana D38, doi: 10.5885/45558XD-EBDE74B80CE146C6. October 31, 2018 Fortier, D., Coulombe, S., Lacelle, D. 2018. 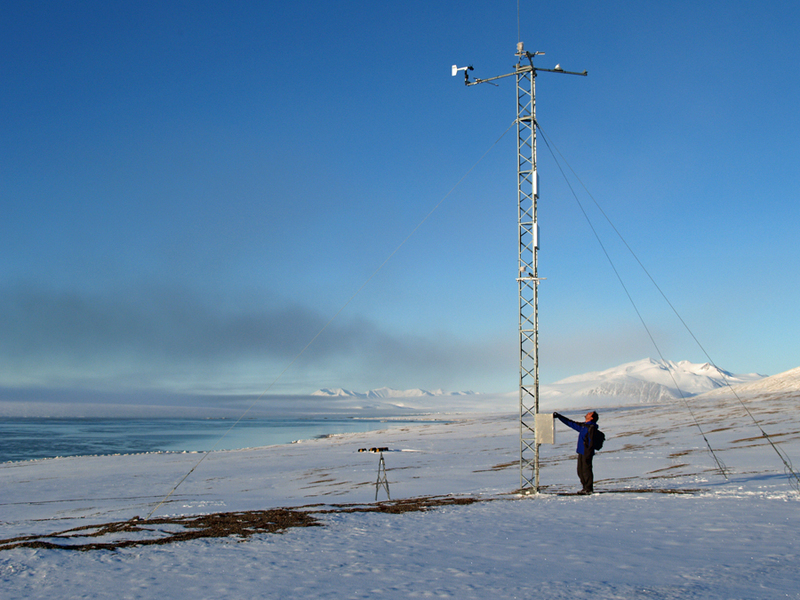 Isotope characterization of ground ice on Bylot Island, v. 1.0 (2013-2015). Nordicana D40, doi: 10.5885/45564CE-8A9A55185FBD4283. October 31, 2018 Berteaux, D., Casajus, N., Ropars, P. 2018. Tundra Nunavik: Functional traits of bird and mammal species of Labrador and northern Quebec , v. 1.0 (1980-2010). Nordicana D37, doi: 10.5885/45550CE-E683169B5540412E. October 31, 2018 Berteaux, D., Ropars, P., Casajus, N. 2018. Tundra Nunavik: Matrix of trophic relations between species of Labrador and northern Quebec, v. 1.0 (1980-2010). Nordicana D36, doi: 10.5885/45555CE-DA1FF11FA4254703. October 31, 2018 Berteaux, D., Casajus, N., Ropars, P. 2018. Tundra Nunavik: Potential distribution of birds and mammals of Labrador and northern Quebec projected for the 21st century (2011-2040, 2041-2070 and 2071-2100) under climate change scenarios, v. 1.0. Nordicana D35, doi: 10.5885/45545CE-82C488A53C7A4BC0. Published by the CEN - Centre for Northern Studies since 1964, Nordicana publishes research results such as northern symposia, lexicons, monographs, essays or theses. The CEN Network yields a wealth of data and the demands from CEN researchers and from external users for subsets of these data are increasing. Consequently, the CEN has decided to implement the collection Nordicana D.
Nordicana series D is a formatted, online data report series archived at CEN. It is produced only in electronic form and is freely and openly accessible to CEN researchers and to other users. Nordicana D has been conceived to aid the management of data sets, to ensure and maximize the exchange and accessibility of relevant data for the different stakeholders, and to provide a lasting legacy of CEN monitoring and research activities. Raw data, already published, are available in this collection but are constantly updated data. Unpublished data are also available. Each issue is published in French and in English, and is indexed via an assigned Digital Object Identifier (DOI). Each issue contains data sets and extensive metadata that explain the origin of the data, the format of the data, the history of updates via different version numbers, and the format that should be adopted to cite the data. An issue may be updated with new data for example, will have a new version number, but will retain the same DOI. You will find on this site, complete metadata, links to download the data and information on how to properly cite the data available on Nordicana D. We strongly suggest that you use the most recent data available.